Arsenal win for the three consecutive match after wrapping a 3-1 victory against Stoke City in Emirates Stadium. Gervinho opened the score receiving Aaron Ramsey's Fabregas-like chip pass, before Peter Crouch made it 1-1. After the introduction of Robin van Persie, Arsenal looked more lively and finally re-took lead after Robin van Persie converted Gervinho's assist. Robin van Persie scored double for consecutive EPL match after once again Gervinho provided nice pass to the Dutchman. It's always good to win the game, but it's never good to rely on one player to win the game. Arsenal seems to have early sign they relying too much on the skipper, Robin van Persie. Arsenal seems find the Stoke defence far too solid to be penetrated before the talisman's introduction. However, just after Robin van Persie came off the bench, everything changed drastically. 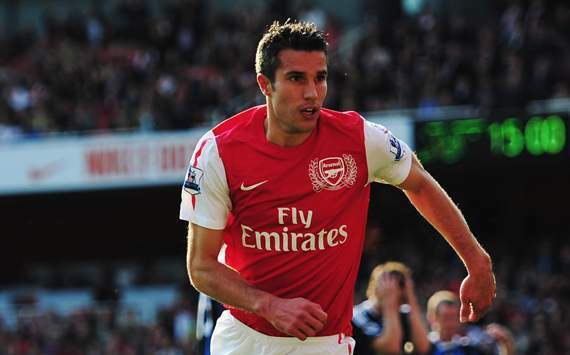 Arsenal's game improved a lot and by van Persie, they eventually scored two goals to seal the fourth victory on EPL. Last season Arsenal didn't rely on van Persie because they still had Nasri and Fabregas, but this season they really depend on the Netherland striker, not only technical needs but also as role model on the pitch, as the captain. But the dependence is getting higher and higher. Now, if van Persie plays well, Arsenal win, but if van Persie is playing poorly, Arsenal can't win. It has been a long time since van Persie stays fit for one season, and Arsenal really need to provide plan-B without van Persie. Arsenal seems to lack of creativity on the attacking department without van Persie. Chamakh, who today given a start ahead of van Persie, can't contribute much. He is an ortodox hard-working target man, who doesn't comfortable playing alone upfront. He cannot offer something van Persie usually give, creativity. Park Chu-Yong is also not a creative striker. Wenger need to think more about the frontline without van Persie, just in case the dutchman is unavailable. Remember, he also only has less than two years in his contract. Should he not renew his contract, meaning he has to be sold next season, Arsenal has to be ready without the number 10.